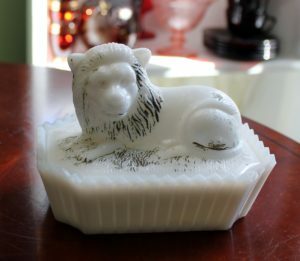 I have a small collection of vintage glass lion items. I have Gillinder and Fostoria pieces and have long been seeking a piece from Richards & Hartley, a company from Tarentum, Pennsylvania. I gather that the piece was introduced in the 1880s. I came across this piece on a recent trip to Boston. First time I have seen the pattern in the wild. It was larger than I wanted, but I couldn’t take a pass. The pattern is called Proud Lion and is also known as Tiny Lion. The lion’s features aren’t particularly detailed, but it is a grand piece! 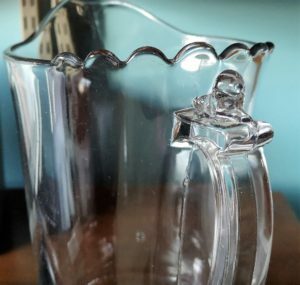 I have seen this piece online in the past. It has been identified as Westmoreland, but I do no know if this is true. If someone else does that would be great. It is not signed, but has the number ‘3’ in the bottom of the base. 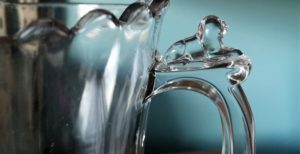 I only have the reference – Westoreland Glass 1950-1984 by Lorraine Kovar. This piece is not represented. No surprise as I think it was made earlier. In any event it is a neat piece. I like the cheeky expression on the lion’s face. The paint is worn off but it obviously was decorated with dark brown or green in the past. 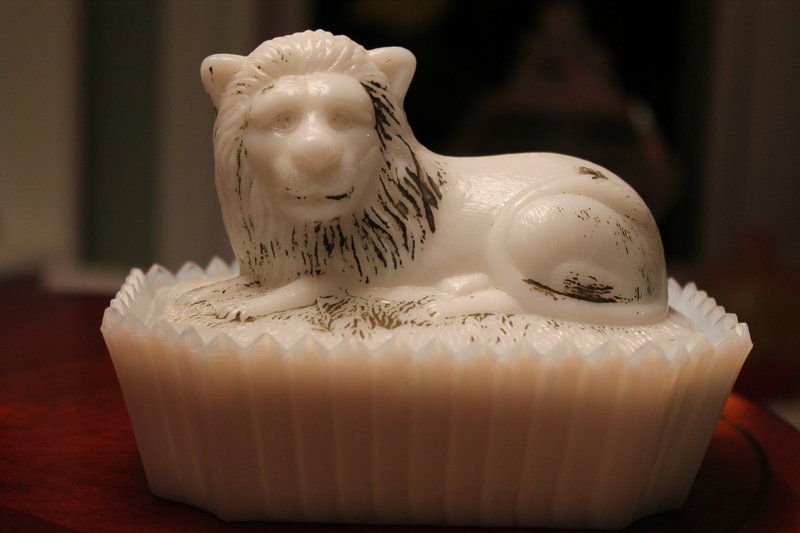 This is a pretty neat milk glass piece to live in the home of a couple of Leos! I have not found this in a book, but have seen it identified online as an early 20th century piece of Westmoreland. My piece is not signed, but has a number “3” in the basket. It is quite white. 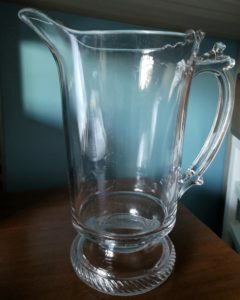 I find it hard to take photos of milk glass, so had to have it ‘shadowed’. It was obviously painted, but most of the paint is gone. I love the sly smile. Do you think real lions lounge around with this expression?????? ?